The cast and crew for that adaptation of Yukito Kishiro’s Battle Angel Alita seems to be slowly coming together. First, Robert Rodriguez took up the directing mantle from James Cameron, who’s apparently still co-writing the film with Laeta Kalogridis (Shutter Island). Then we learned that Rosa Salazar (Maze Runner: The Scorch Trials) would be stepping into the titular role as an amnesiac, martial-arts-expert cyborg bounty hunter. (Yes, this is based on a manga comic book series. How did you guess?) 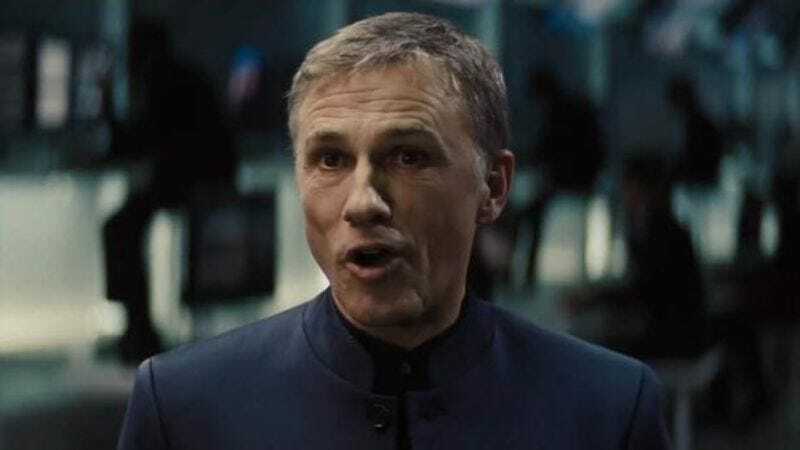 And now we’re finding out that two-time Oscar winner Christoph Waltz is likely to take on another big part in the film. As The Hollywood Reporter tells it, the 59-year-old Austrian-German actor is in talks to play Doctor Dyson Ido, the cybersurgeon who finds Alita in a junkyard and trains her as a master Hunter Warrior. Before you consider that this will be the second time that Waltz portrays a kindly doctor who sees raw talent in a person at the nadir of their existence and mentors them in the art of tracking down criminals for profit in a movie directed by one of the guys who made Grindhouse, remember that Django Unchained took place in the past, and this takes place in the future. Or something like the future. At any rate, it’s totally different. Alita: Battle Angel or Battle Angel Alita or whatever it winds up being called is expected to reach theaters in July 2018.